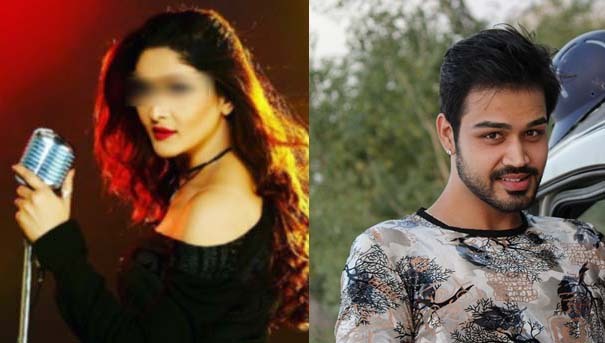 The father of aspiring TV actor Rahul Dixit, who allegedly committed suicide on January 30 in his flat in Mumbai, has blamed an Assam singer and his reported girl friend, for the incident. Budding actor Rahul, who hails from Jaipur, was found hanging from a ceiling fan at his Oshiwara flat in Mumbai. The police have registered a case of accidental death. But the actor’s father, Mahesh Dixit, suspects foul play. In fact, he has blamed Rahul’s alleged girlfriend, singer Rupali Kashyap, who hails from Assam, for his death. Rahul’s father Dixit alleged that Rupali killed him. In fact, he points out that there are marks on his body too but the police are not taking them into consideration, CineBlitz reported. “Rupali mentally tortured Rahul. She is a very suspicious girl and always used to quarrel with him,” Rahul’s father writes in a Facebook post. 28-year-old Rahul was reportedly in a relationship with Rupali. While he was struggling to get a big break in the television industry, he did a few shoots. With no suicide note, there is no clarity as to why Rahul took such a huge step, reported the magazine. According to report, Rahul was partying with his alleged girlfriend Rupali the night before he allegedly killed himself. Rupali, who is now based in Mumbai, has recently released a video song, Sikuti Sikuti, on YouTube along with popular singer Neel Akash. Another song, Komala Barit, sung by Rupali, which was also released on YouTube, struck a chord of many.